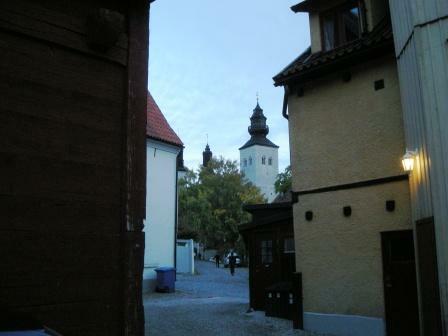 Today I arrived for a quick visit to Gotland, an island in the Baltic Sea, and the medieval city Visby. Though here on business that not is connected with archaeology I was pleased to be greeted by a picture stone at the airport. 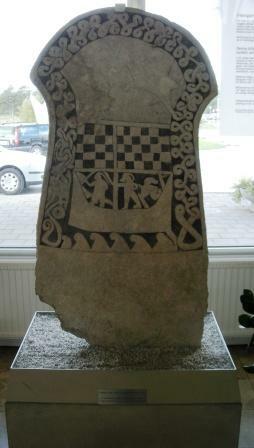 This was found in the church Stenkyrka and is and is dated to ca 700 AD. 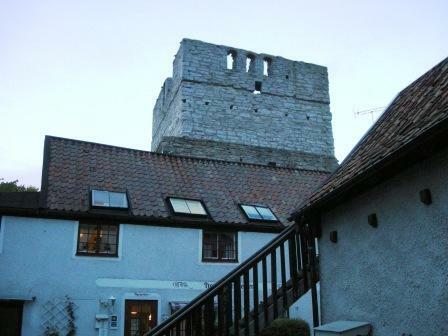 The night is spent at hotel St. Clemens within the city walls. How about these surroundings? 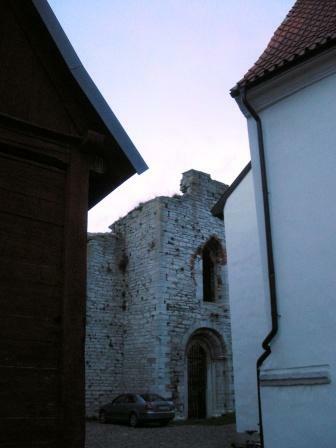 I’ll take some photos of the city wall, houses and ruins tomorrow.